An Asperger’s (AS) or High Functioning Autistic (HFA) youngster who is vindictive is demonstrating that something is wrong. His rage and hostility are symptoms of an underlying problem. It may be the result of (a) the expression of emotions, attitudes and behavior that have been inadvertently or purposefully conditioned; (b) an expression of emotional distress; (c) an attempt to cope with sensory sensitivities; and/or (d) a physical, developmental, neurological or mental illness. For some kids, symptoms may first be seen only at home, but with time, these symptoms extend to other settings (e.g., with friends, at school, etc.). No matter the cause, the behavior of a vindictive youngster is hurtful to others and ultimately self-destructive. It is to everyone’s benefit to find ways to handle the AS or HFA youngster that will limit the aggression and amend the underlying issues that feed his or her malevolence. 1. Assign a household chore that's essential and that won't get done unless your AS or HFA youngster does it. It's important to (a) set your youngster up for success with tasks that are relatively easy to achieve, and (b) gradually blend in more important and challenging expectations. Also, give clear, easy-to-follow instructions for the chore. Kids who feel competent tend to have higher self-esteem and improved behavior. 3. Never use insults, sarcasm or satire as a means of verbal punishment or as a strategy for enlightenment. AS and HFA children have difficulty understanding figurative or metaphorical statements. 4. Use “labeled praise” when your child exhibits the kind of positive behavior you would like to see more of (e.g., “I saw that you were irritated, but you did a good job of being courteous and not losing your temper”). 5. At first, your youngster may not be cooperative or appreciate your changed response to his behavior. Understand that behavior may worsen temporarily in the face of new expectations (called an "extinction burst" by therapists). Remaining consistent in the face of increasingly difficult behavior is the key to success initially. 6. Build in time together by developing a regular weekly schedule that involves you and your youngster spending time doing something the two of you enjoy. 7. Cognitive problem-solving training is a type of therapy that is aimed at helping your youngster identify and change thought patterns that lead to behavior problems. 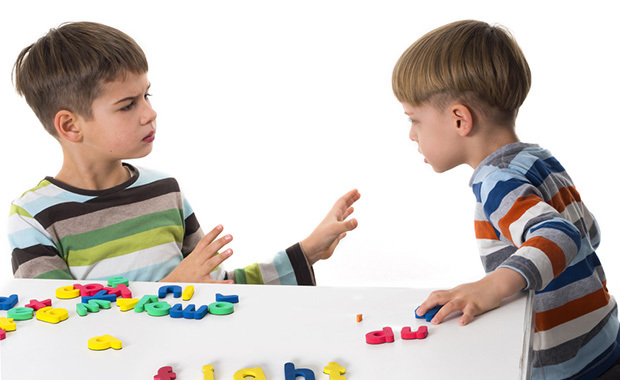 Collaborative problem-solving, in which you and your youngster work together to come up with solutions that work for both of you, can help improve defiant behavior. 8. Consider “Parent Training.” A mental health provider can help you develop parenting skills that are more positive and less aggravating for you and your youngster. In some cases, your youngster may participate in this type of training with you so that everyone develops shared goals for how to handle problems. 9. Find out what your youngster’s perceptions of the situation are, and try to understand her motivation. 11. If your youngster is acting unkindly toward others and not responding to limits, then monitor and limit movies, television, and video games to venues that provide only appropriate models. Do not allow exposure to aggression, violence, and disrespect of others. 12. Pick your battles carefully, and avoid power struggles. Almost any minor conflict can turn in to a “knock-down-drag-out” fight if you let it. 13. Establish a strict zero-tolerance policy for teasing, bullying, and verbal/physical aggression. Respond to every incident of these behaviors. If the behavior problem is minor, offer a verbal warning – but do not allow the behavior to continue or worsen. After warnings have been given, meet every occurrence of vindictiveness with a consequence. 14. Set up a routine by developing a consistent daily schedule for your youngster. Asking your youngster to help develop that routine will be favorable. 15. Social skills training is greatly needed for children on the autism spectrum. Their social skills are characteristically very poor. Your AS or HFA youngster also may benefit from therapy that will help her learn how to interact more positively with friends and classmates. 16. Try individual and family therapy. Individual counseling for your youngster may help him learn to manage anger and express feelings in a more appropriate manner. Family counseling may help improve your communication skills, and help all family members learn how to work together. 17. Work with your youngster to identify alternative behavioral options. Ask her if there are other ways she could have handled the situation, and talk about how to use those alternative responses (at a time when she is calm, of course). 18. Show consistent, unconditional love and acceptance for your youngster — even in the face of difficult and disruptive circumstances. Staying calm and rational during stressful encounters can be tough for even the most patient mom or dad. 19. Work with your spouse/ partner to ensure consistent and appropriate disciplinary methods. Also, enlist the support of teachers, coaches, and other adults who spend time with your youngster. 20. If the strategies listed above do not bring significant improvement in your child’s behavior, then consult with a physician and/or therapist. Medical issues (e.g., ADHD, allergies, diabetes, exposure to toxins, hypoglycemia, nutritional deficits, etc.) can contribute to verbal and physical aggression. Likewise, a psychological evaluation can expose issues that may contribute to persistent vindictiveness (e.g., neurological and psychiatric illnesses, emotional distress, depression, anxiety, etc.). Although many parenting strategies may seem like common sense, learning to use them in the face of opposition is tough – especially if there are other anxiety-producing factors in the home. Learning the skills listed above will require consistent practice and patience.